ST. LOUIS, Mo. – Saint Louis FC announced the signing of five STLFC Academy players to the first-team for the upcoming 2019 USL Championship season – a club record number of Academy signings – pending league and federation approval. A number of familiar faces will be rejoining the first-team after signing Academy contracts with the squad during the 2018 season, including goalkeeper Patrick Schulte and defender Lawson Redmon. Schulte joined the club at 7 years-old and has committed to play collegiately at Saint Louis University in the fall. He is a strong shot-stopper and commands the box very well. Redmon has been part of the club since he was 10 years-old after moving from community-based club Glen Ed where he started playing at 7 years-old. He is an attack-minded left-back with a good range of mobility and is solid in one-on-one situations. Some new faces joining from the STLFC Academy include midfielder Nikiphoros (Nichi) Vlastos, midfielder Kippy Keller, and defender Jansen Miller. Vlastos has been training with the first-team since the 2017 season after joining the club at 15 years-old from Casper, Wyoming. He is a creative, attacking central midfielder who is very dangerous off the dribble. Keller joined the club at 7 years-old and has played continuously except for one season spent at Clube Atlético Paranaense in Brazil. He is committed to Saint Louis University in the fall and is a disciplined, defensive central midfielder who wins the ball well with a good range of passing. Miller is the youngest Academy player on the roster currently at 16 years-old. He joined the club at 7 years-old and spent three years playing with Lou Fusz SC before rejoining at 13 years-old. Miller is a central defender who is strong both in one-on-one duals and in the air. 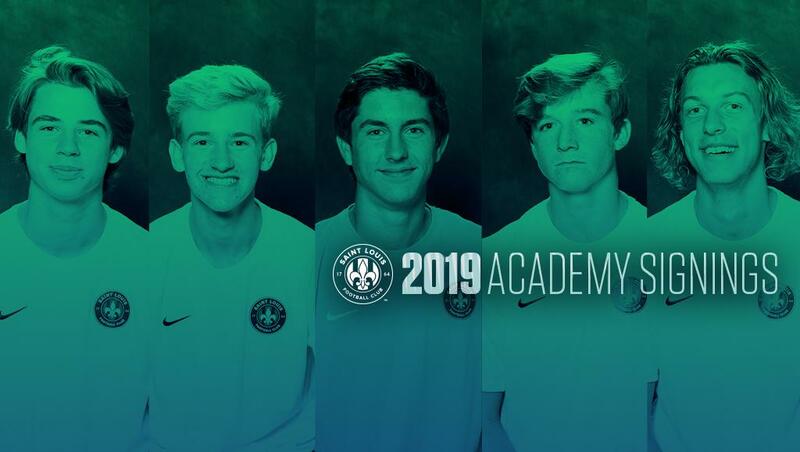 "We are extremely excited for these young men, all of whom have been in our Academy at least five years and, for most, much longer,” said STLFC Academy Director Blake Decker. “Additionally, we are grateful for the support and belief in the Academy demonstrated by Jeremy [Alumbaugh], Anthony [Pulis], and the club leadership. Over the past four years, we have seen how this step can be a real accelerant for a player’s development and, as the integration between the first-team and the Academy continues to strengthen, we are better able to help our Academy players both prepare for and more successfully make this very difficult transition into the senior game. This is just one more step in their journey, not an end point. That said, this is a moment to congratulate these young men as well as their families, their coaches, and their teammates who played an integral role in their development over the years."